Incorporated in the state of California in 1965 by the Ulberg family, Petro Lock is located on 6 acres in Lancaster, California approximately 70 miles north of Los Angeles. We started with one purpose in mind: to provide quality products and outstanding customer service. Petro Lock is a multi-line distributor of automotive and heavy duty lubricants, and a marketer for unbranded fuels. We have a spacious 24 hour fueling site on location. 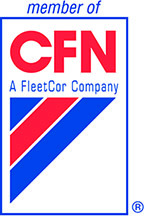 We are proud to be part of the ever expanding CFN network. With over 40,000 universal (nationwide) locations, secure online tracking and convenient monthly billing; it’s only a matter of time before CFN becomes a necessity for every household and business alike. Petro lock offers many other services from lubrication distribution to onsite fueling and common carrier services. We stand proudly behind our over 50 years of service knowledge and experience in the industry. The loyalty of our clientele and support of our team members, guarantees our superior leadership in this market. Copyright 2013, All Rights Reserved, Petro-Lock, Inc.